Earlier this month we gave you a sneak peak at the new Performance Edition 335i. Today we get the official release with a few new details. As previously mentioned the Performance Edition (option code ZMZ) will be available on all 335i models from now until the end of E90 production in November. Either the sport package or M Sport package is required but once you get past that hurdle PE is only an extra $550. It ‘s a surprising value for BMW but one that makes sense considering it ‘s a software only upgrade. Unlike the N54 ‘s BMW Performance engine upgrade, the N55 ‘s kit (which of course is the basis of this option) doesn ‘t need additional cooling and thus there is no extra hardware needed. In fact the only physical part of the kit are the black kidney grilles that come as part of the option. One surprise in this release is that, not only will this kit be marketed to current 335i owners but also current 135i owners. 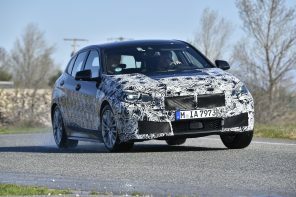 We ‘re guessing this is meant just for N55 equipped cars with either the Sport or M Sport package. Official Release: Performance breeds excitement and the BMW Performance Edition for the 2011 335i / xDrive Sedan ensures that new car buyers are in for that extra thrill beyond the outstanding performance that can already be realized with these exciting vehicles. 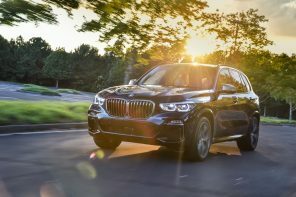 Customers can now option their vehicles with a special BMW Performance Edition (option code ZMZ) that includes an all-new Power Kit, black kidney grilles and a “BMW Performance Edition” badge for only $550. The BMW Performance Edition for the 335i highlights a Power Kit which consists of engine tuning software (no additional hardware): Increases the engine power output from 300 hp to 320hp and torque from 300 lb ft to 317 / 332 lb ft (manual / automatic transmission); this is the same horsepower rating as the 335is! Acceleration from 0-60 mph is 0.2 seconds faster than the standard model and 0.5 seconds faster than the standard model from 50 mph to 75 mph. Emissions and fuel consumption ratings are unaffected by the power upgrade. Black kidney grilles and a BMW Performance Edition badge will visually identify these Performance Edition vehicles from other 3 Series vehicles. The BMW Performance Edition is offered only for a limited time on 335i Sedans through the end of 2011 which will ensure that owners of these vehicles will belong to a very special club of performance purists. BMW is also pleased to announce that the contents of the BMW Performance Edition will be made available to existing 135i and 335i customers. Pricing to purchase the contents of this edition as a retrofit will be announced in August, 2011. Too bad it isn’t for the N54. The $550 is quite appealing. The reason why no hardware upgrade is required is because cars equipped with either Sport package already have the hardware upgrade standard. I have a 2011 E90 PE xDrive. It came stock with the M-package and markings, performance air intakes, exhaust, auxiliary oil cooler, performance brakes, suspension, tires (320 hp) – then I Dinan’d it! Now it’s 355 screaming, road-eating horse (401 ftlbs) – outamyway! It’s my 3rd Bimmer…this is a keeper. A quick look back at the Paris show with Chris Bangle and BMW Web TV.